Alicia Ely Yamin is Lecturer on Global Health and Policy Director at the Francois-Xavier Bagnoud Center for Health and Human Rights, Harvard University, and Chair of the Center for Economic and Social Rights. CAMBRIDGE, Massachussetts, Oct 27 2014 (IPS) - The catastrophic Ebola crisis unfolding in West Africa offers many lessons, not least for global anti-poverty efforts. These will culminate in a set of targets, to be agreed by the United Nations in 2015, known as the Sustainable Development Goals (SDGs). First of all, the crisis should lead to a re-think of the triumphalism that has marked some of the global health debate in recent years, with some projecting a “grand convergence within a generation” between North and South, rich and poor countries, based upon the “end of preventable mortality, including from infectious diseases”. It is not a coincidence that, in addition to the legacy of colonial exploitation, and pillaging by their own corrupt and unaccountable governments in recent history, Liberia and Sierra Leone are two countries that have been ravaged by brutal civil wars. Second, neither universal health insurance, without real access to public health as well as effective care, nor cash transfers, without connections to functioning systems, would have thwarted Ebola or the social devastation it is wreaking. Yet both are highly touted solutions to global poverty, and likely to be part of the SDG agenda. Nor would “pay for performance”, whereby health workers are supposedly incentivised to be more productive by having compensation linked to quotas and outcomes. All of which brings us to a third lesson from the crisis: silver-bullet solutions that focus on short-term outcomes, and often produce so-called ‘vertical’ interventions (that is, those de-linked from the broader context), actually do not work in the long term, or in the face of crises. Human rights advocates have argued that there is a need to shift power relations to promote greater equity, to invest in strengthening institutions, to open spaces for meaningful participation by the people who are affected by health and development policies, and to construct effective and accessible accountability mechanisms. Though often dismissed as airy-fairy, unmeasurable and utopian in mainstream public health and development circles, the Ebola catastrophe illustrates exactly why these investments are crucial. Health systems are not just a means for the technical delivery of goods and services; they are part of the core social fabric of societies. They can either give expression to norms of solidarity and equality, or they can exacerbate social exclusion. In the three most affected countries in West Africa, the health systems were all dysfunctional before Ebola hit, and were often a place where people – especially women and children – experienced their poverty and marginalisation. The inadequate, and now decimated, health systems, and the rippling effects of the crisis on education, housing, and food, all raise issues of access to – and the enjoyment of – fundamental economic and social rights. These are just as important as the violations of civil rights, including unwarranted restrictions on movement, which might stem from the Ebola epidemic. But it is equally important to realise how massive violations of human rights – civil and political, as well as economic and social – drive epidemics such as Ebola. The unimaginable suffering we are witnessing is in no way simply an inevitable result of the “natural” pathophysiology or epidemiology of the disease. It is not a coincidence that, in addition to the legacy of colonial exploitation, and pillaging by their own corrupt and unaccountable governments in recent history, Liberia and Sierra Leone are two countries that have been ravaged by brutal civil wars. These conflicts were fuelled by the rapacious global demand for precious minerals, and destroyed communities, dissolved family units, and disrupted farming, livelihoods and migration patterns. Nor is it a coincidence that more than half the population in each heavily affected country lives in abject poverty (53 percent in Sierra Leone, 55 percent in Guinea, and 64 percent in Liberia). And, as noted above, women and children disproportionately suffer from the mass deprivation of economic and social rights that those numbers reflect. I was in Sierra Leone when the evidence of the horrific atrocities during that civil war were everywhere to be seen: roadblocks which had previously been strung with human intestines, and beggars at street corners missing hands that had been cut off by the insurgents. I was also there after the end of hostilities, when the humanitarian aid groups had mostly pulled out, leaving among other things a health system incapable of dealing with even the most basic health needs. Government facilities were missing essential supplies and medicines; health care workers often had no sutures or gloves, nor running water nor soap, and were using cell phones to provide light during surgical procedures. 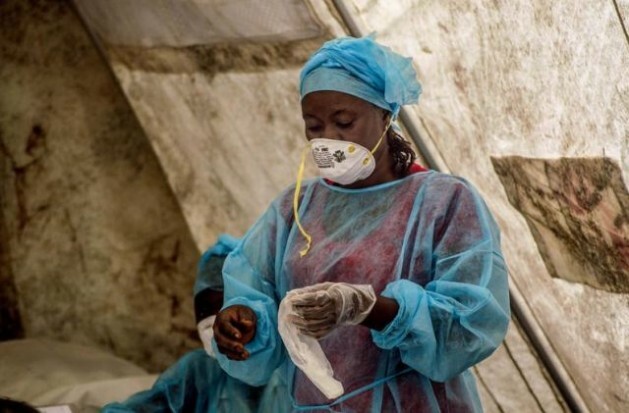 The World Health Organization recommends a minimum of 23 healthcare workers per 10,000 people, but there is still a desperate shortage of health care workers in the affected countries; in Sierra Leone, there were just 0.2 physicians and 1.7 nurse/midwives per 10,000 people at the outset of this crisis. When I visited in 2009, close to 50 percent of primary health care providers in Sierra Leone were receiving no salary. To survive they charged illicit fees, and for drugs, or sold bed nets on the private market. We must learn lessons from the Ebola crisis: not just to build temporary structures staffed by foreigners, which will disappear like sand castles when the crisis is eventually contained, or other horrors on our television screens draw our attention away. This time, let’s make sure we do not accept the status quo ante as ‘normal’, and instead make long-term commitments to strengthening health systems, including public health measures. These will create not just more productivity and healthy years of life expectancy, but also promote people’s own voice and agency and the possibility of living lives in dignity. And let’s take the time in finalising the SDGs to consider how best to tackle the rules of the global economic order, including the unfair terms for global trade, that drive the structural inequalities between countries. These limit the possibility of people enjoying their human rights even in the best of times, and can help set the stage for these horrific social calamities. Ebola has shown vividly that we live in an invariably globalised world. We owe it to those with whom we share this planet, and to future generations, to establish a Sustainable Development Agenda that, as the Universal Declaration of Human Rights says, promotes a “social and international order in which the rights and freedoms set forth [in that Declaration] can be fully realized” by everyone. There is not much hope for most of Africa!! People were in Africa long before Europe or North America and had advanced civilisations! !They have in many ways gone backwards!! I personally know of a situation in Kenya! An Italian family whose ancestors settled in Africa owned a large farming and ranching business! They had to sell it for pennies on the dollar when Kenya gained independance! He was one of the last to leave and His operation was as modern as any in the USA at the time!! He showed land that had been turned over to natives 5 years before that had gone back to Bush! !It had been as good as His and very productive but they let it go!No ambition!! How can You help people like this! !You may as well take Your money and pour it down a rat hole!! The USA has given billions in aid and all it has done is increased the birth rate and famine is worse then ever! Sometimes I feel We should wash our hands of the whole thing and let nature take it´s course!! Do not get Me wrong,I feel bad for starving people but We are not helping them! !They have to help themselves! !